Mitchell shared his thoughts on how SG improved students’ on-campus experiences during the fall semester and revealed upcoming projects for the spring. 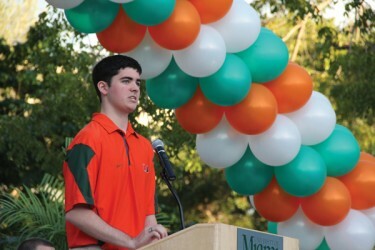 Before he described these efforts, he set the tone by speaking about students’ loyalty to the University of Miami during the football team’s scandal. “Throughout our day-to-day lives of going to classes, organization meetings and Intramural games, the allegations reminded us that each of us is a part of something greater,” he said during his speech. He then emphasized how students were “tested” by various forces such as the media and opposing fans. Mitchell said UM’s community sets itself apart from other universities because of its pride. 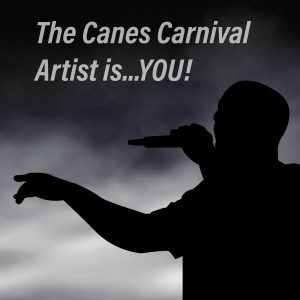 He said this Hurricane spirit became apparent when students responded in several ways: by wearing orange on the first day of class, following the iconic Twitter account I Stand by the U and attending a sold-out student section game against Ohio State University. “That commitment to being a Miami Hurricane – through the good times and bad – is one of the things that sets us apart from any other university,” Mitchell said. 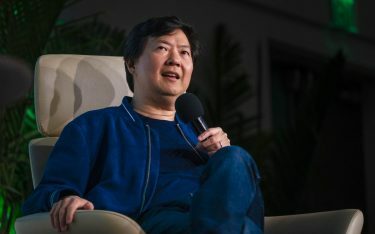 During an interview, he said that UM’s uniqueness is a result of two factors. First, incoming students have thousands of schools to choose from, making it necessary for the university to stand out. Also, graduating seniors need their alma mater to give them the edge on competing schools. In his speech, Mitchell also mentioned UM’s rise to No. 38 in U.S. News & World Report’s college rankings, as well as the university’s 5 percent increase in its number of applicants. Last year, the number of applicants increased 7 percent for a total of 28,000 applicants for 2,000 spots in the freshman class. “All signs point to us not stopping any time soon,” he said. Mitchell then listed the work he and SG have done during the semester that impacted campus. He said SG’s main focus this semester was to improve the dining experience and bring more Hurricane spirit to campus. “One student made a remark that if you pick up the UC and dropped it in the middle of any college campus, it would blend in,” he said during his speech. As a part of its Spirit the U initiative, SG led a redesign of the University Center that included new chairs, tables, decorations and a mural. SG also established late-night dining options at Hecht and Standford Residential Colleges and worked with Chartwells to include guest passes, which allow students to buy food for visiting friends and families. The spring semester will see the beginnings of two of SG’s main goals, Design-A-Course and Create Your Own Major. Design-A-Course starts its pilot program next semester and will continue next fall. Through the program, students will be able to work with a faculty member to prepare a course proposal and then collaborate to teach the course together. “The idea is that students learn by teaching others,” Mitchell said. SG will begin the planning phase for the Create Your Own Major program next semester. SG’s initial plan is for students to submit a proposal for a new major that contains a customized set of classes to complete a degree that doesn’t exist. However, a committee must approve the major before students can begin to take their courses. Overall, Mitchell said he is glad to be part of a place that feels more like a family and wants to continue the same trend next semester. Students like senior Paige Giusfredi thought that Mitchell’s speech was clear and insightful.